Scott takes the time to read each and every message he receives. Unfortunately, due to the massive volume of mail, it is extremely difficult for him to respond to each one. If you find yourself in a true crisis, please consider turning to a professional in that field, either a guidance counselor, teacher, religious leader, parent or other adult. You may refer to the short list of examples and possible contacts included here for some ideas. Please remember that in matters like these, the Internet should be used as resource only and not as an alternative for face-to-face interaction with someone who can help. 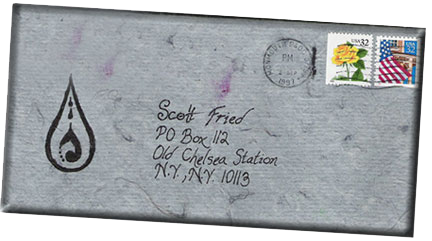 To contact Scott, please use the form below or email letters@scottfried.com. I heard your words and they were like a song, like a story. Each word had a million words connected to it. I completely believe that you touched everyone in that room. People are still trying to take the things you said into their every day lives. If I had to choose one person who has made the biggest impact I would choose you. I know that you don't expect to change peoples lives -- but you do. See more testimonials from professional, parents, and Scott’s students here.